Here’s what’s happening in the world of television for Wednesday, January 30. All times are Eastern. Riverdale (The CW, 8 p.m.): Kelly Ripa! So cheerful, so energetic, such a bright, bubbly presence in the morning. What a natural fit for Riverdale. 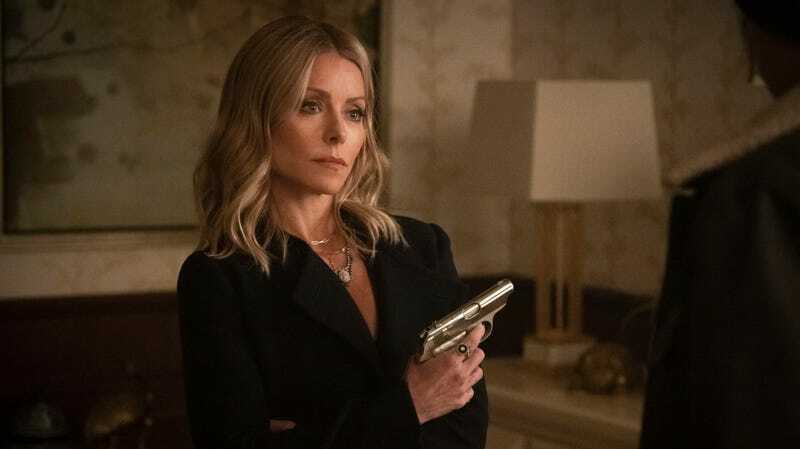 Ripa, who’s married to Mark Consuelos in our human reality, will be entering the realm of Hot Archie as Hiram’s alleged mistress, “Ms. Mulwray.” It’s going to be really fun and light and bubbly, right? Whoops. Also, this episode is called “The Red Dahlia.” Uh, welcome, Kelly Ripa? Hope your stay in Riverdale is light and entertaining. In all seriousness, our own Erik Adams, Danette Chavez, and Allison Shoemaker got the chance to visit the set of the second season of Ryan Hansen, and they can safely say that the series has got some pretty bonkers stuff planned. The first season is streaming for free; the second drops today, for money. Watch, and count the cameos—er, suspects.